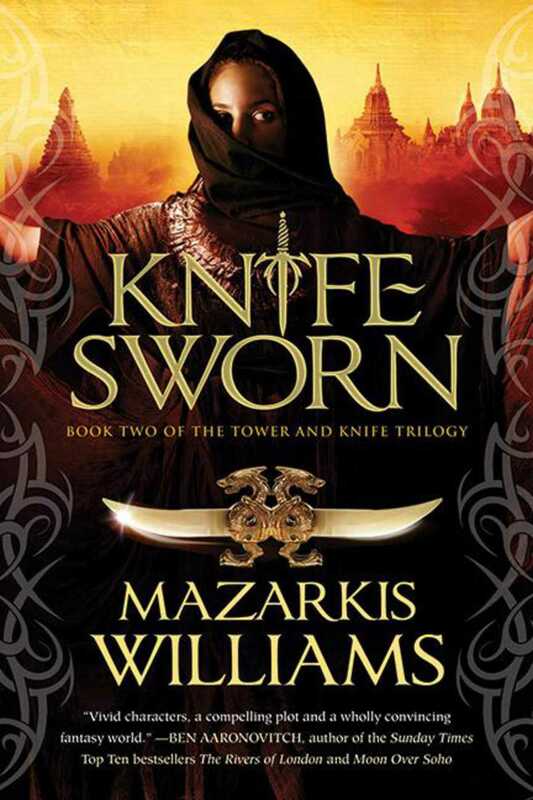 The brother of a fallen emperor ascends to the throne of the Cerani Empire in the second installment of the Tower and Knife trilogy. After a lifetime locked in his tower room, Sarmin has come into his own. He is the crowned emperor; he has wed Mesema of the horse tribes; the Pattern-Master is dead. Everything should be happy-ever-after. But war ignites in the north, and in the palace, Sarmin’s new baby brother is seen as a threat to Mesema’s unborn child. Scheming courtiers surround the Petal Throne, and when a peace envoy is invited, their plots blossom. Sarmin has no royal assassin as proof against their treachery; no one to whom he can give the twisted Knife. Those whom Sarmin saved from the Pattern-Master’s curse, unsure how to live without the Many, turn to Mogyrk, the god of their ancient foe, for comfort. And Sarmin has not been left alone: the remnants of the Many haunt his thoughts; he hears their voices in the darkness of his room. The worst damage left by the Pattern-Master is about to take Sarmin unawares . . .